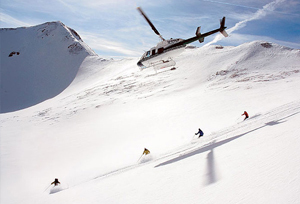 What separates Heli-skiing (helicopter skiing) from other types of skiing is the fact that skiers and snowboarders are flown by helicopter to the top of these remote slopes. Tourists will feel the adrenaline rush when they will fly to heights above 6000 m. Imagine the sheer thrill of skiing at an outrageous speed, controlled by a helicopter and unveiling the colorful vistas of the Himalayas. If tourists have the audacity to bear this challenging sport, then Heli-skiing is just meant for them. Heli Skiing is such an adventure in Himachal Pradesh where tourist can explore great heights and breathtaking glaciers. Manali is the matchless destination for all ski enthusiasts who want to explore the challenging topography and stunning beauty of repeated helicopter rides. The marvellous beauty of silvery peaks glittering under the sun and laden pines extends the fun of Heli -skiing at Himachal Pradesh. Home to many passes, glaciers, peaks, Himachal Pradesh in India has to its credit exquisite natural beauty. Himachal Pradesh with its terrific terrains has continued to challenge the high-spirited adventurers from across the world. The passes of Rohtang Pass, Chanderkhani Pass, Mount Hanuman Tibba and Mount Deo Tibba are the impeccable destination for Heli skiing in Himachal Pradesh. To put the safety factor in perspective, Himachal Tourism guides tourists about Heli Skiing related activities and even provide helicopter services. Craggy landscapes of Himachal Pradesh are very difficult to cross and thus the experience of skiing in exhilarating. The feeling of gushing snow thrashing against the face and body at high speed is simply not to be forgotten. So if tourists think that they have experienced all the types of adventures, then Heli skiing is so exciting that tourist will get Goosebumps in a jiffy. 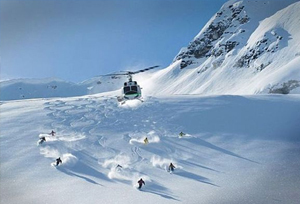 Whether or not the tourists have Heli-skied at world-class slopes of Alaska and Switzerland, Heli skiing in India is something which they would cherish for a long time. Best Time to Visit: Winter is the best time to go for Heli-skiing because during this time of the year powder snow can be found. However, in the spring, there is also more day light .